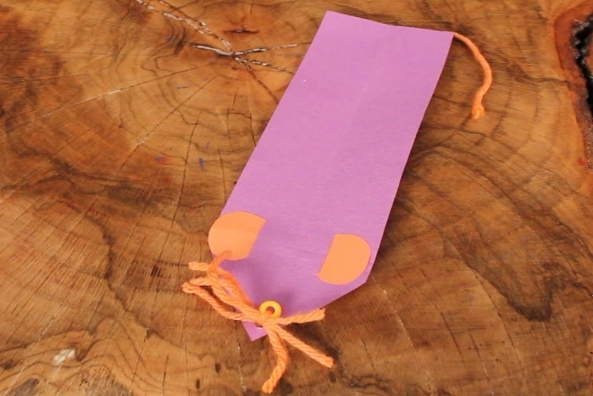 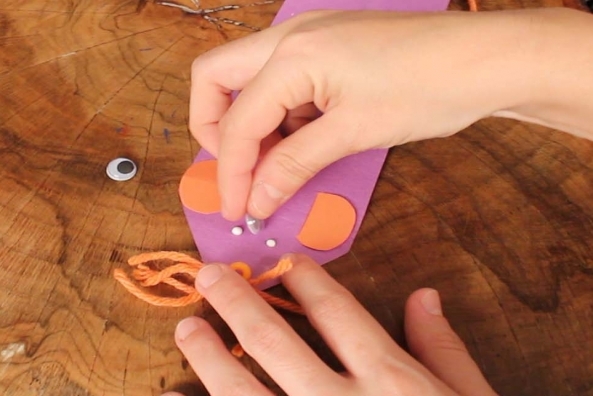 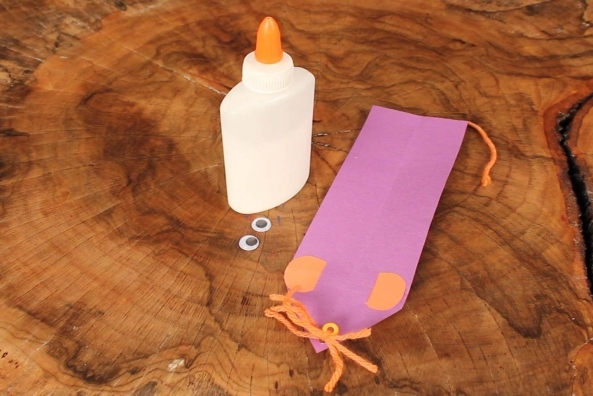 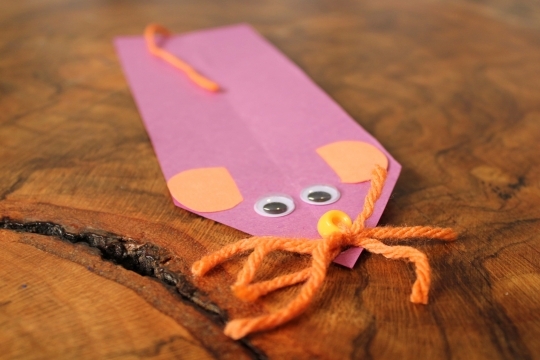 Hold your place in your favorite book with this cute little bookmark made by you. 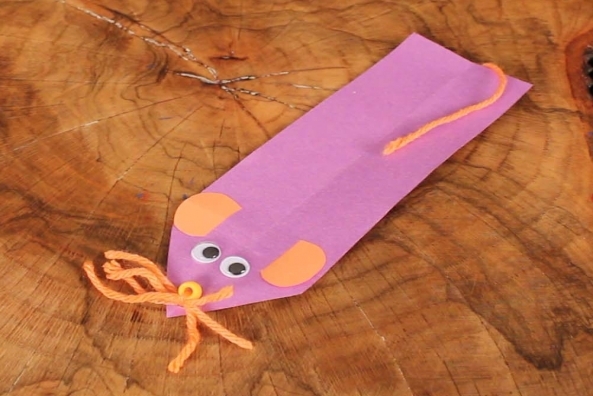 Learn about colors with some adorable mice. 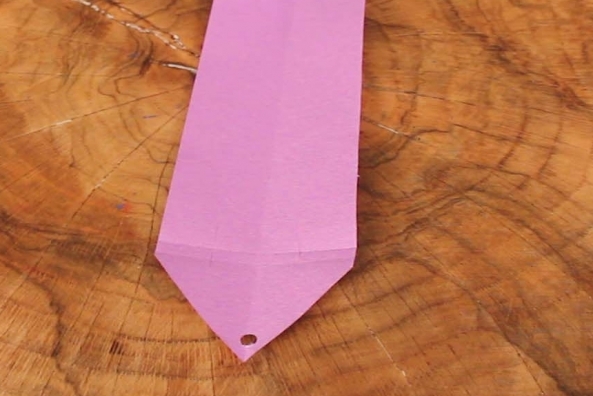 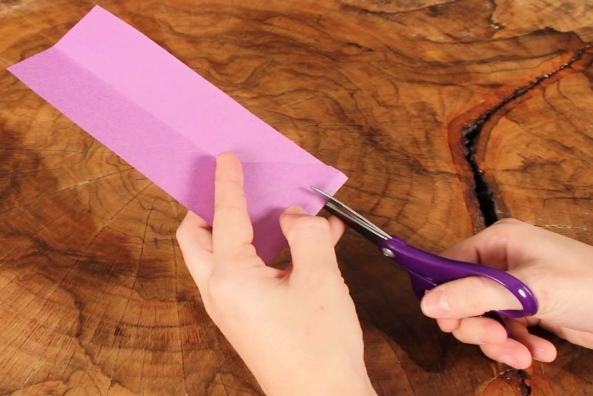 Cut a strip of construction paper. 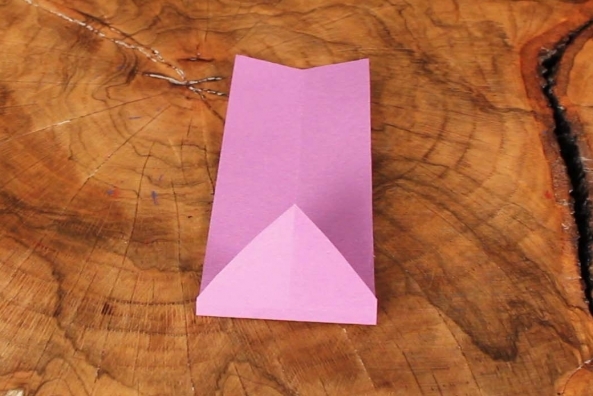 Fold the strip in half, long ways. 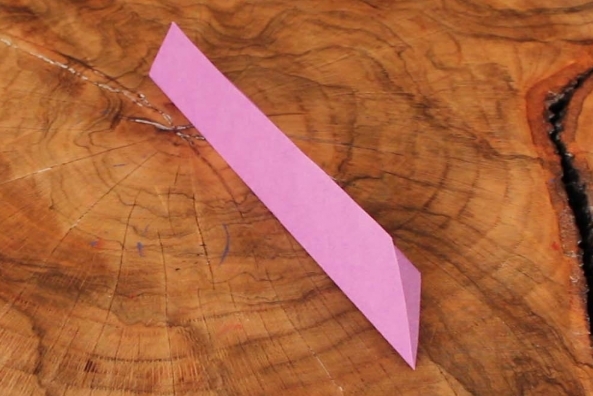 Cut one end at a point. 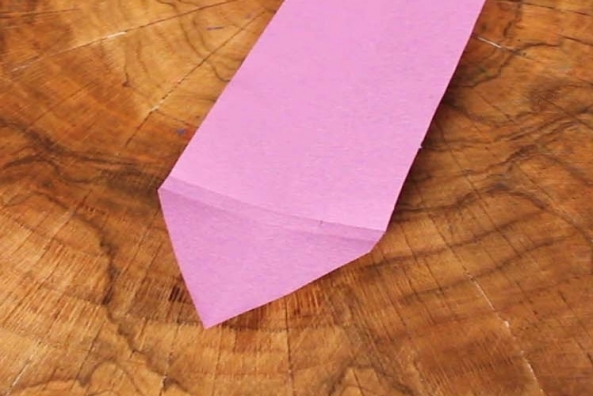 Open the strip up and fold the point up. 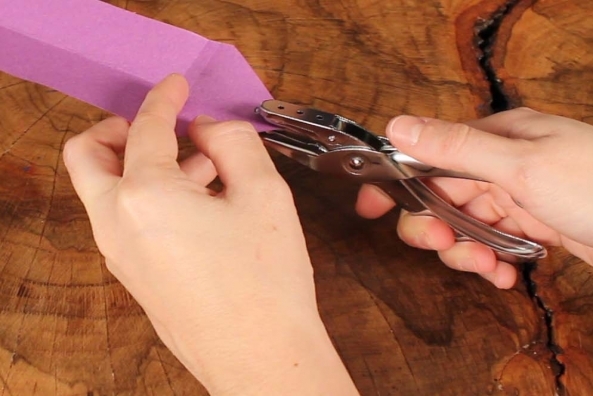 Cut two slits at the fold and open the strip up, again. 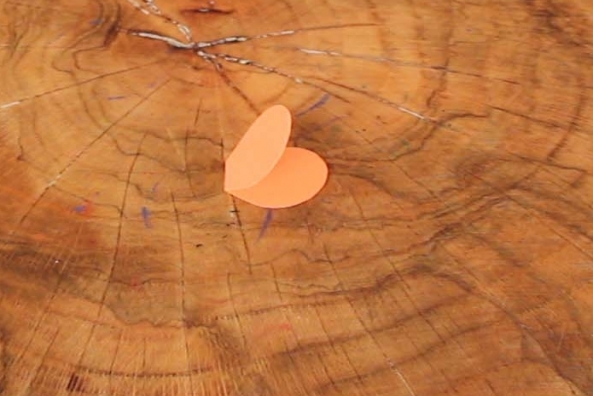 Punch a hole at the point. 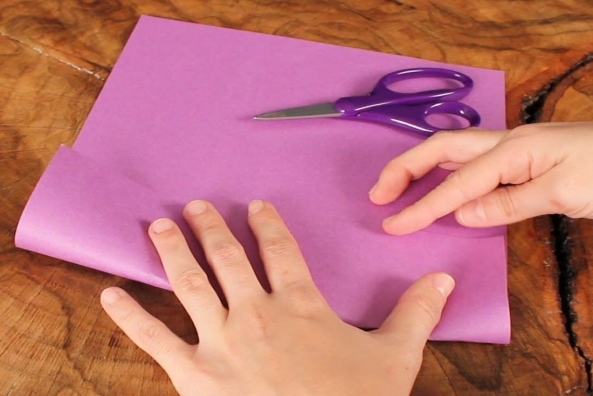 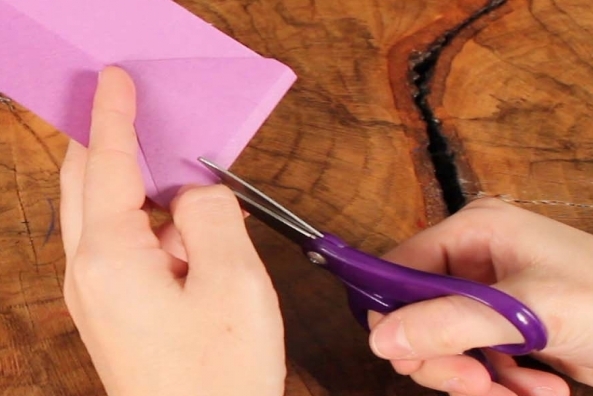 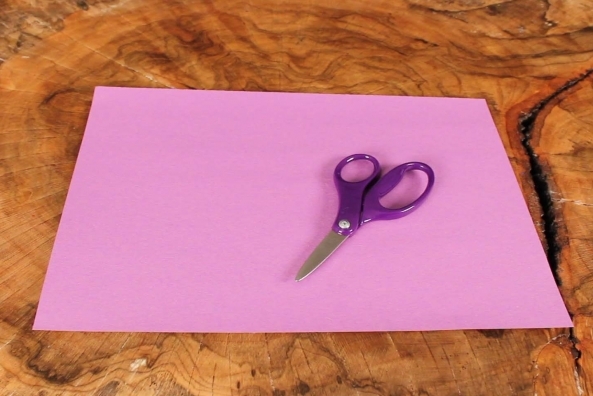 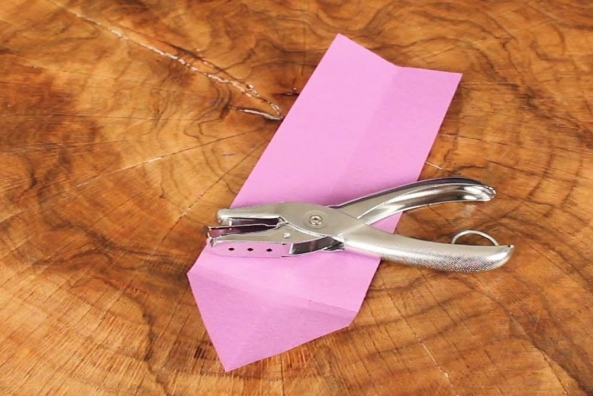 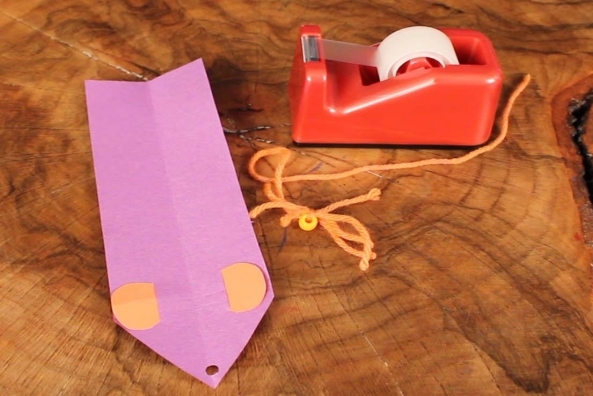 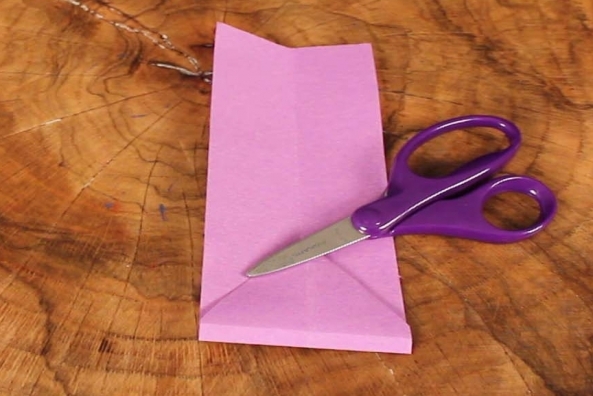 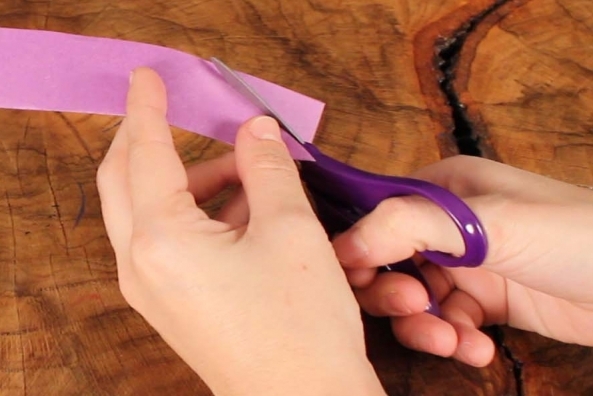 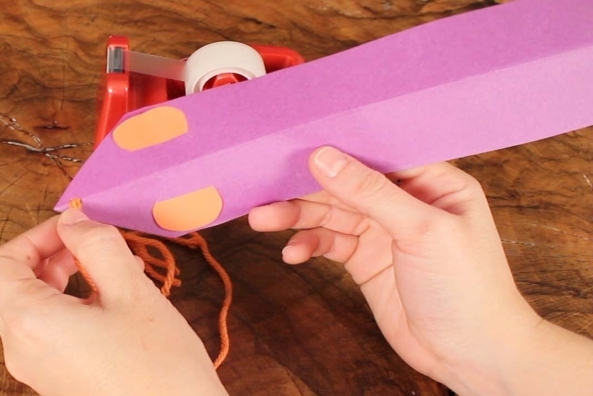 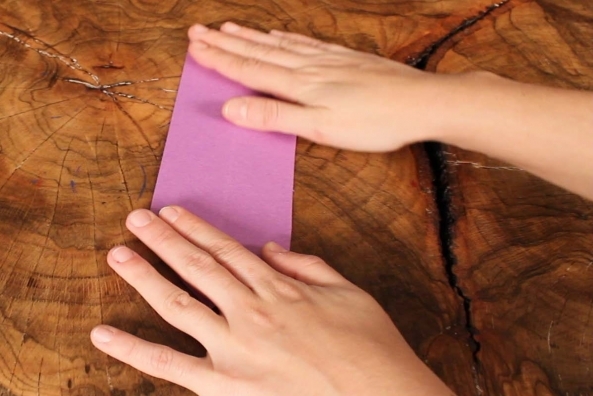 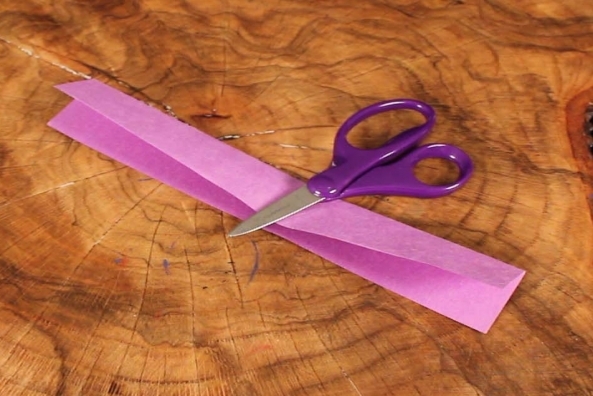 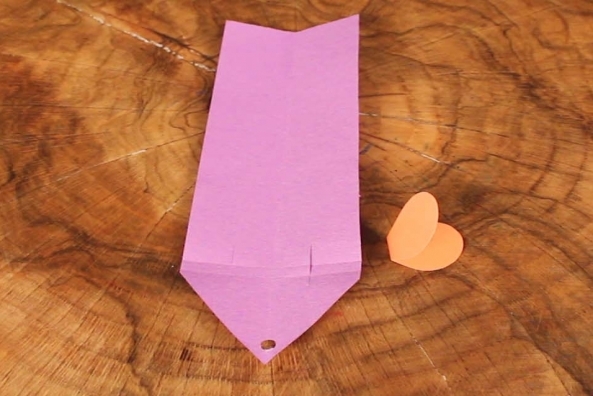 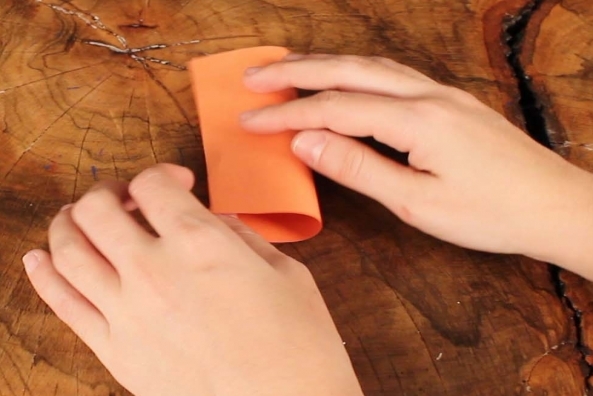 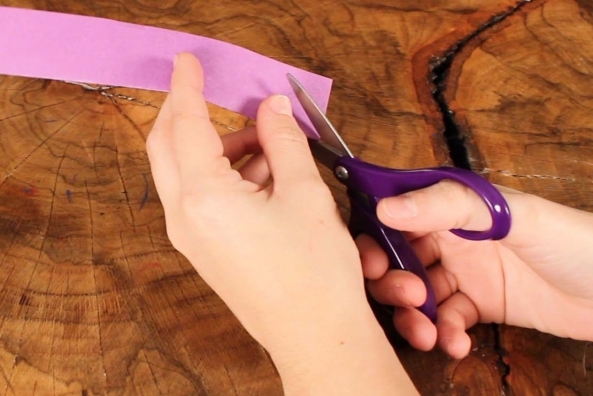 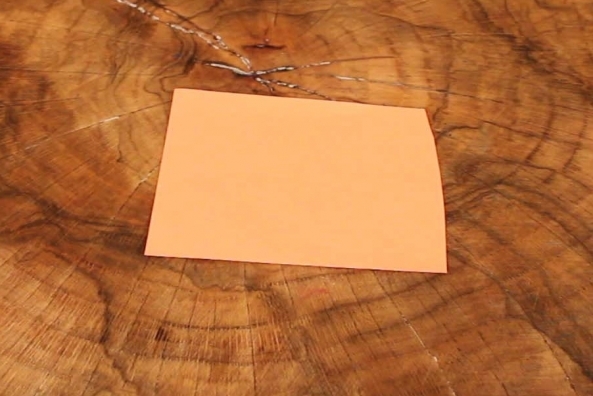 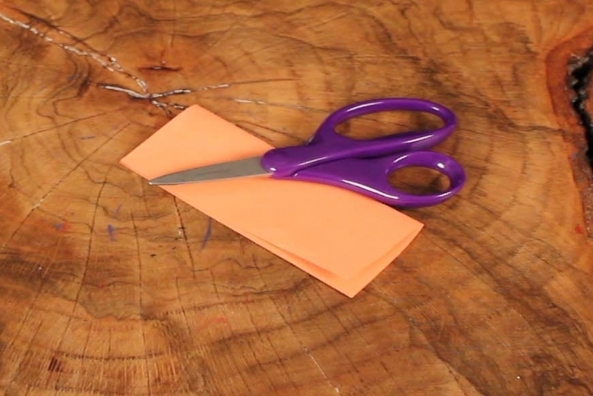 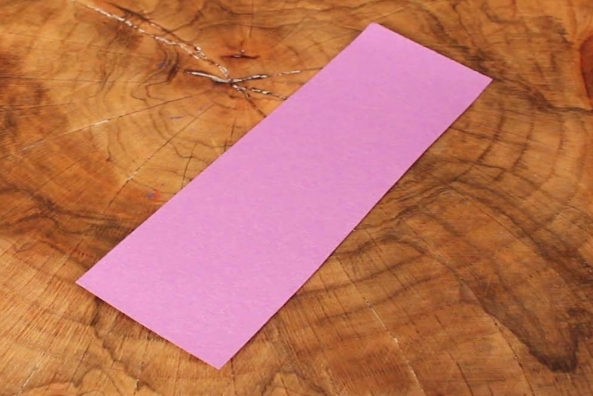 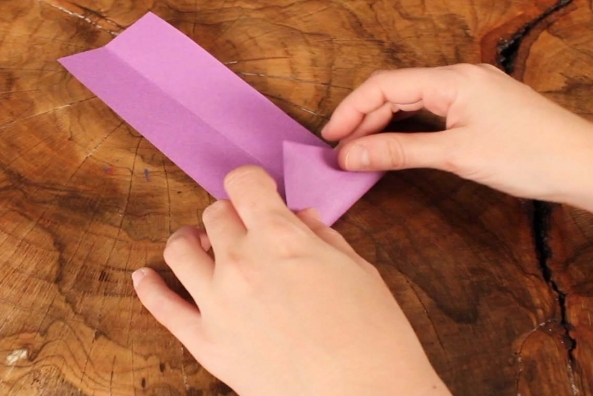 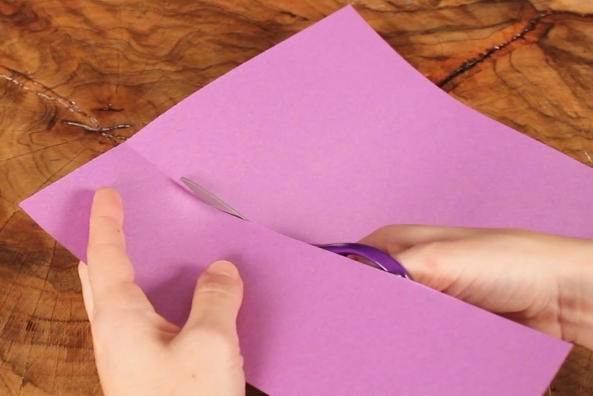 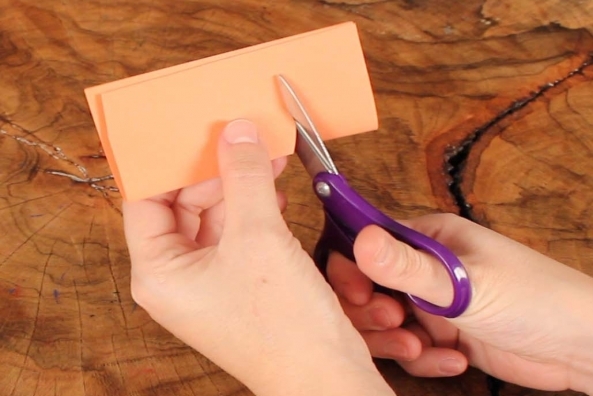 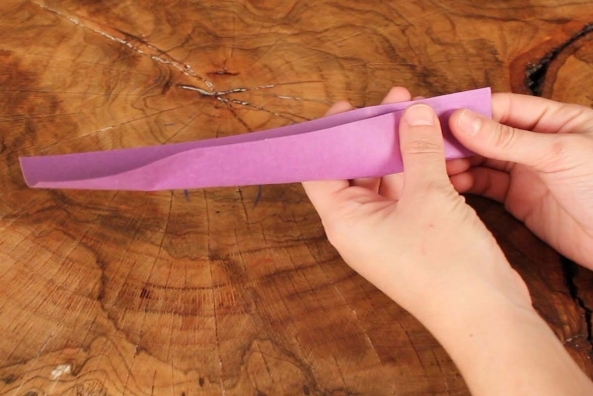 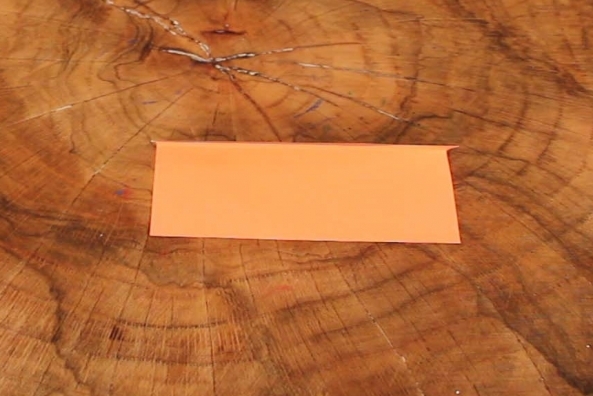 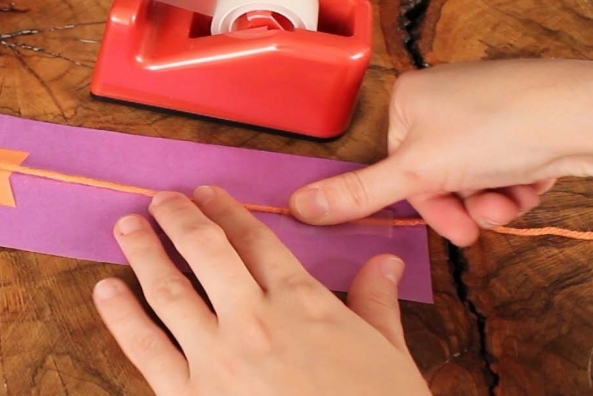 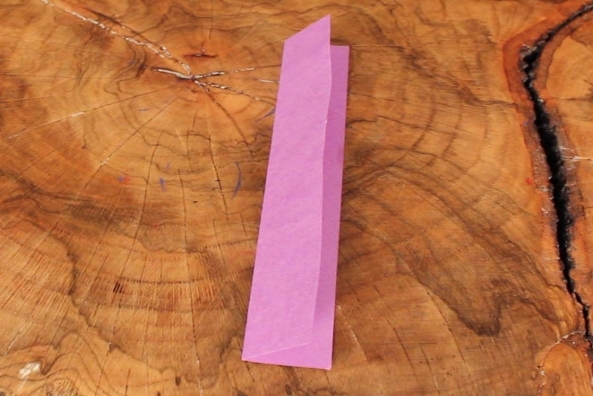 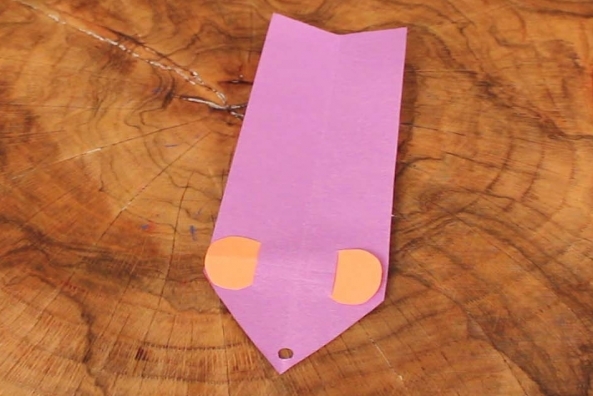 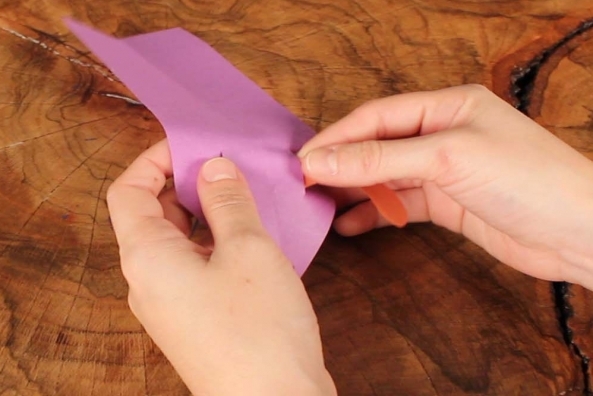 Fold a different colored piece of construction paper in half. 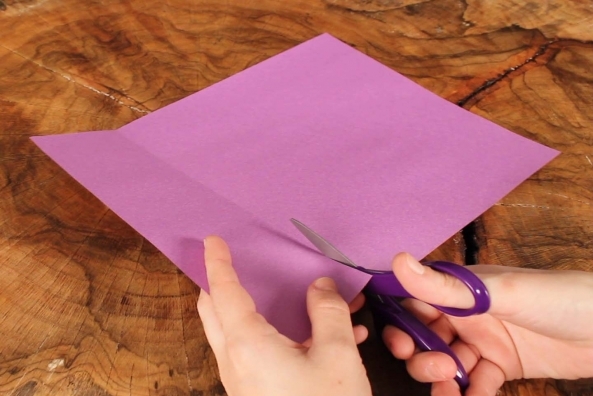 Cut a circle at the fold without cutting the fold. 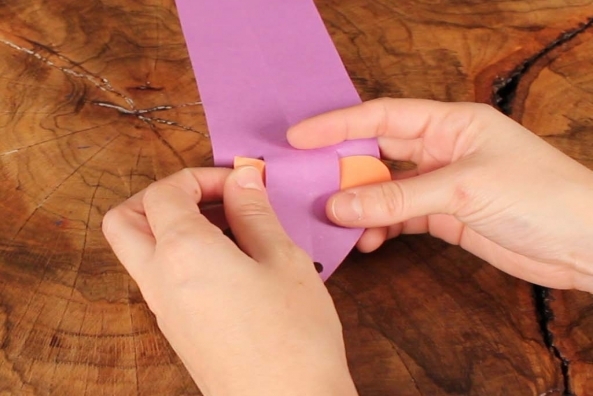 Open the circle up and carefully pull it through the slits on the strip. 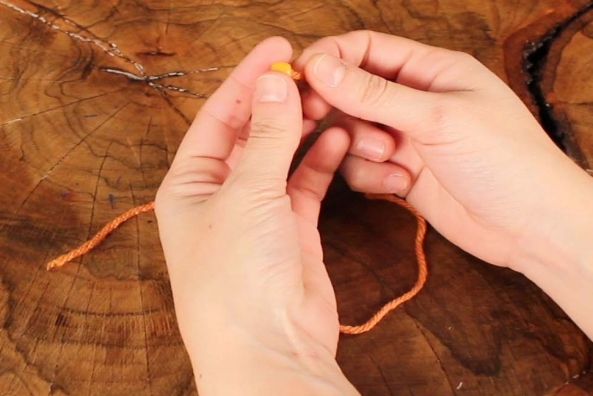 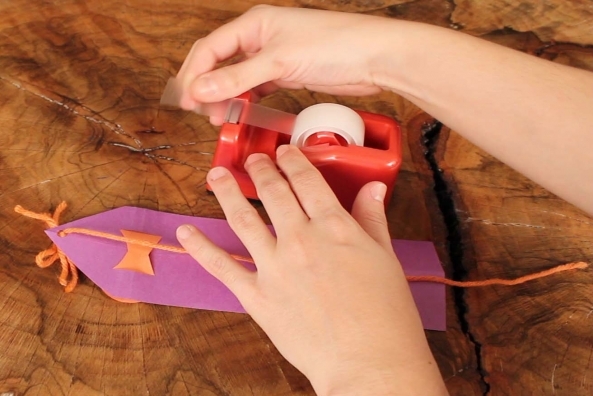 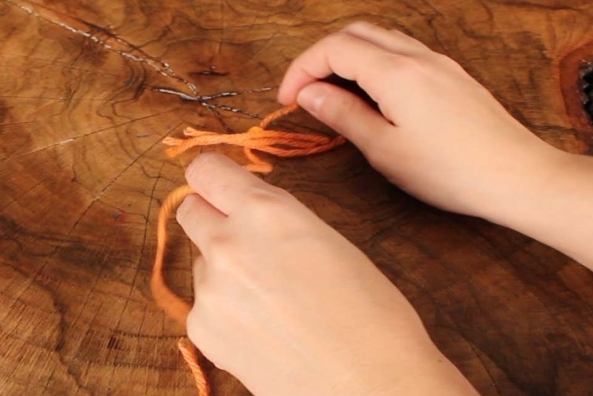 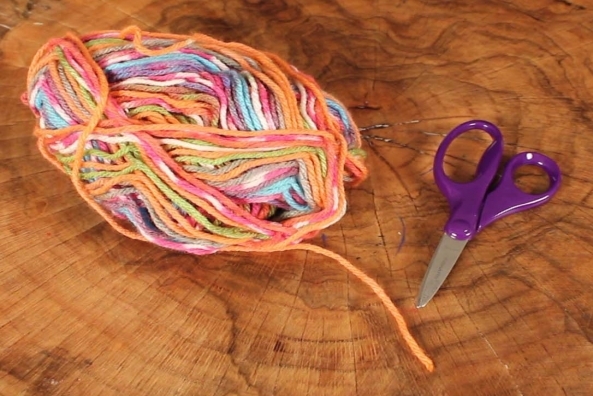 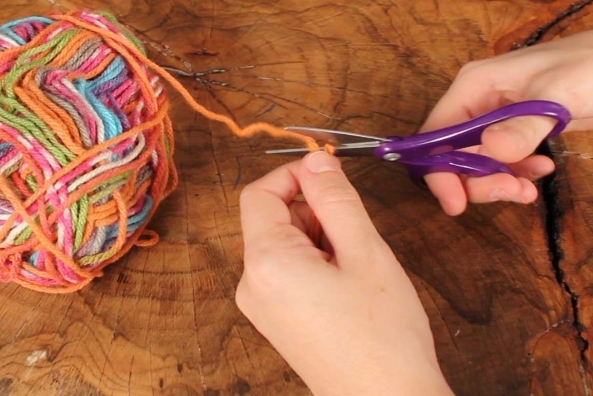 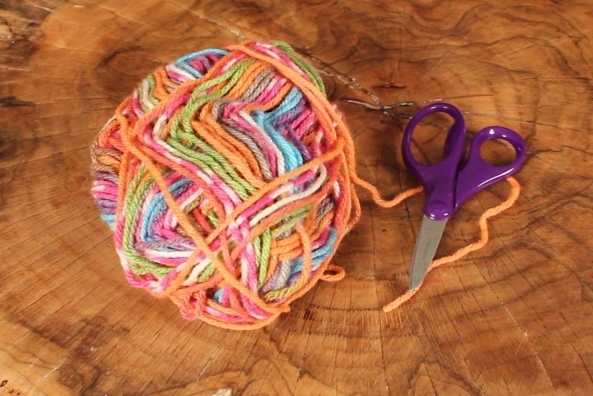 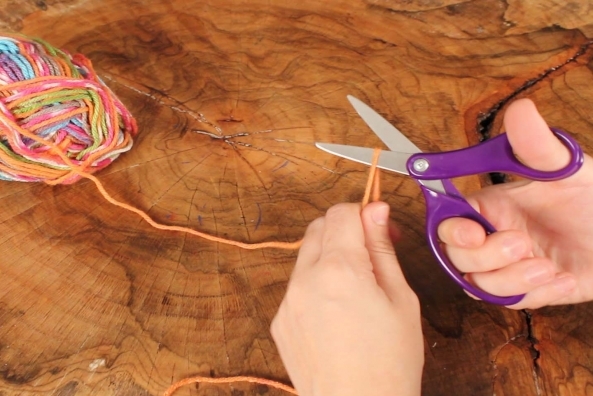 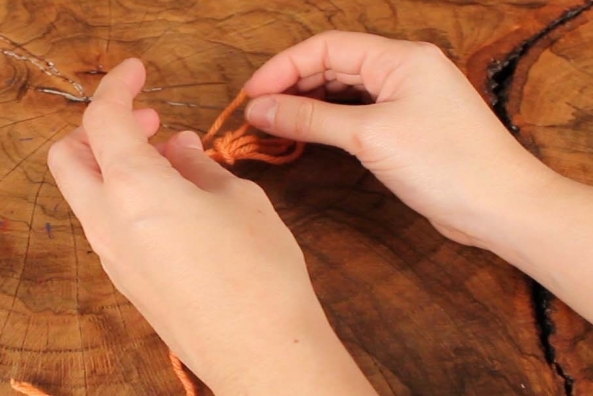 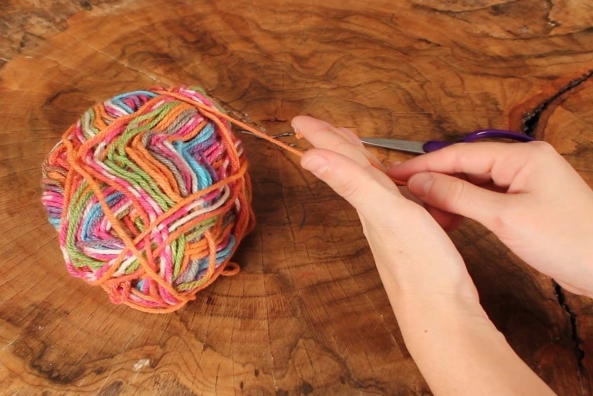 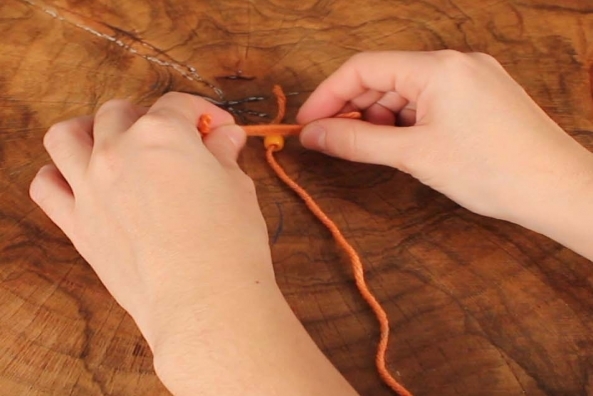 Cut three pieces of yarn the length of your finger. 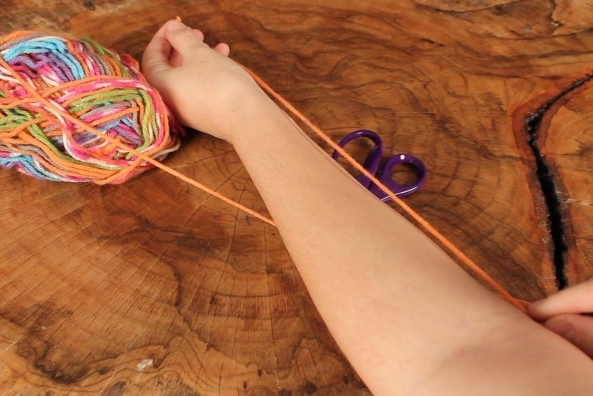 Cut one piece of yarn the length of your entire arm. 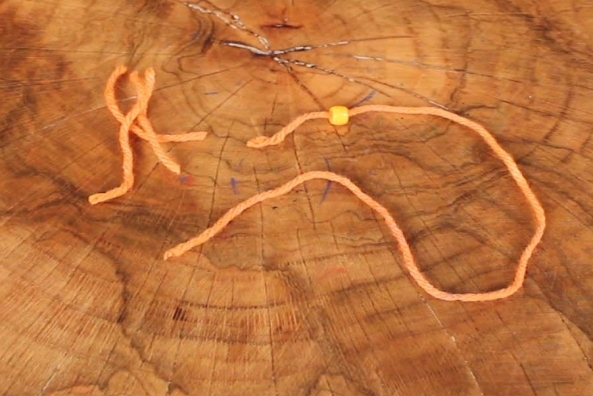 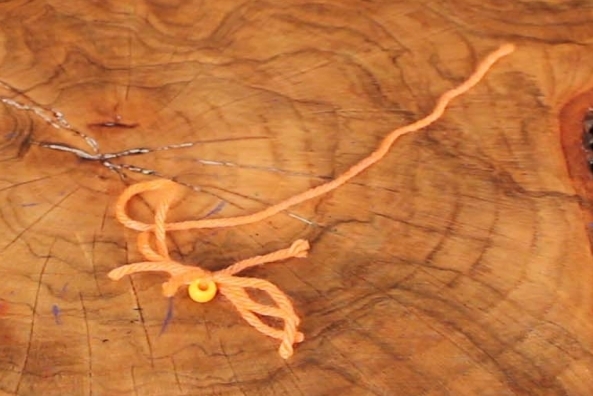 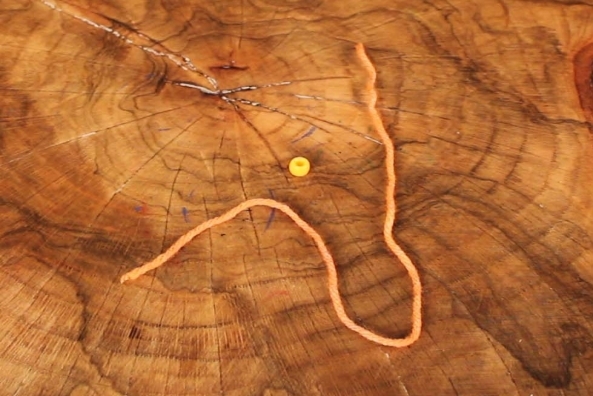 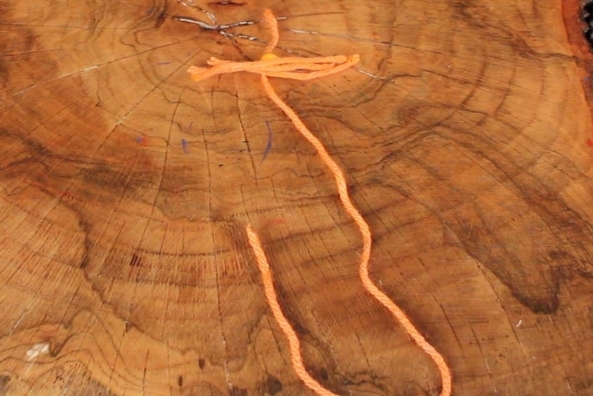 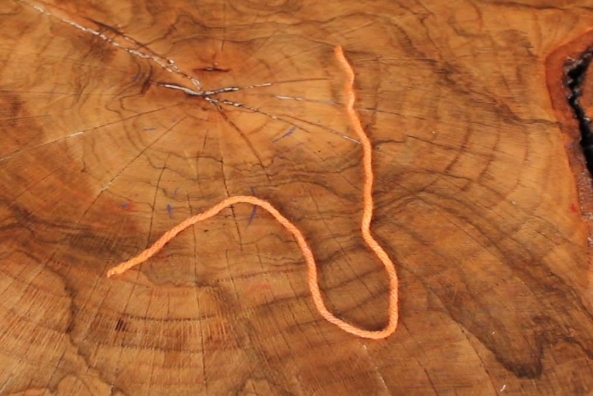 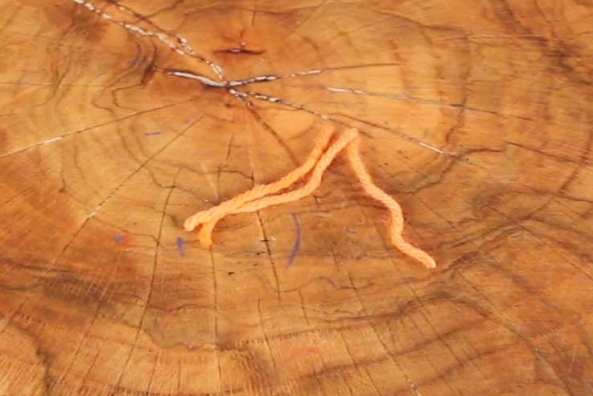 Thread a bead onto the long piece of yarn. 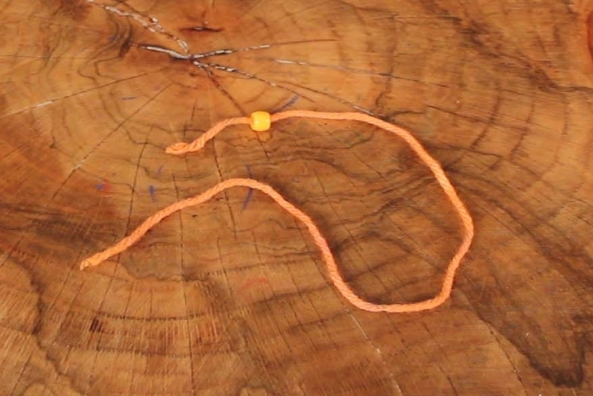 Place the three pieces of short yarn on top of the bead. 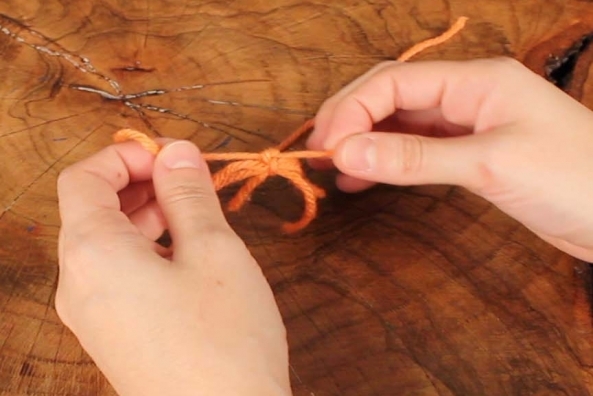 Tie a knot around the bead. 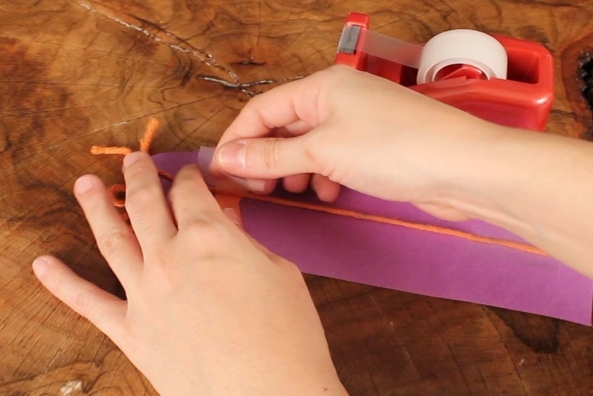 Thread the long piece of yarn through the hole on the paper strip and tape on the back.